Africa 2011 Part Two – Lessons from My Sisters! 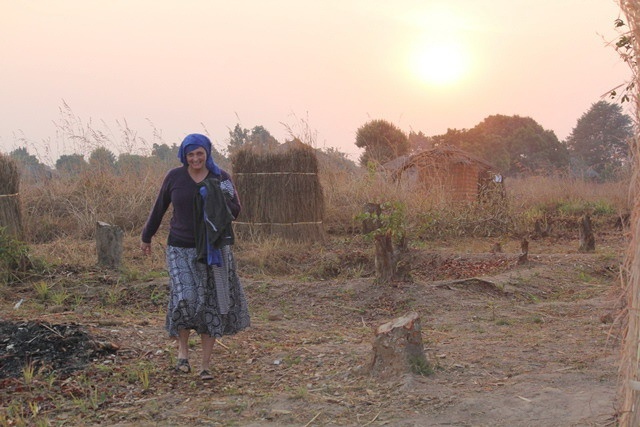 Home/Mission Reports/Africa 2011 Part Two – Lessons from My Sisters! When we leave for a mission trip, our heads and hearts are filled with truths from God’s Word that we are excited to share with our brothers and sisters across the seas. Since 4% of the world’s population receives 96% of the world’s teaching, this is a privilege and a responsibility the Lord has entrusted to us. We desire to be a channel of blessing to those abroad who do not have the understanding and resources that Christians in America have. But when we board the big plane for home, our heads and hearts are filled with different truths—living truths that we have seen displayed in the lives of our humble brothers and sisters around the world. Their understanding of Scripture may fall behind ours, but their application of Scripture becomes to us a living testament of a Christ-centered life. These men and women live a quiet and humble faith as they forge toward the crown through hardship, boredom, and disappointment. Someday you will meet them face-to-face, but until that time, please accept my fumbling attempt to share with you aspects of their lives that encouraged my soul. HUMILITY—Gene wrote previously about Ken Mawire of Mozambique. But what about the MRS? Grace Mawire has worked alongside her husband through over 40 years of marriage and ministry. She, too, has endured through poverty, persecution, suffering, and loss. 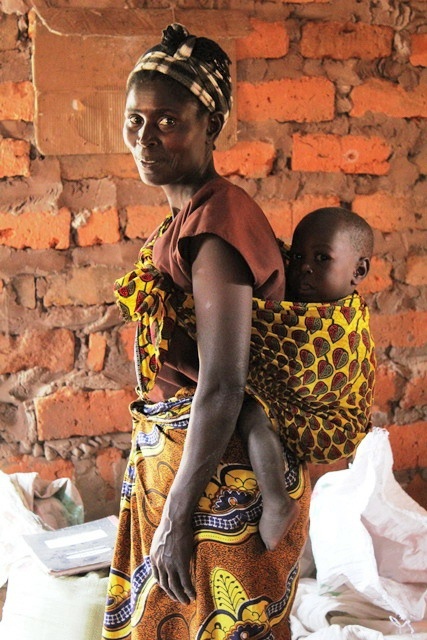 Grace is well known in the churches of Zimbabwe and Mozambique where she dedicated 12 years of her life to establish churches in the remote Gondola District. Men, women, and children come to Grace for wisdom, guidance and encouragement. The respect these people have for Grace is seen in the name that they give to her. They call her “Mother.” Mrs. Mawire’s countenance is one of peace, married with boldness and humility, married with courage. 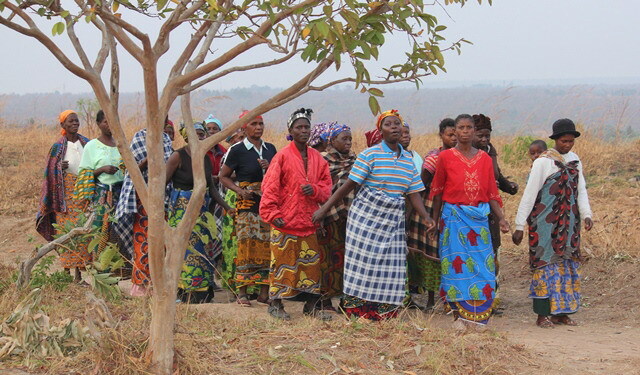 At the close of our village conference in Mozambique, the pastor rose and said "We now wish to honor our Mother." The crowd cheered and broke out in lively song. Some women came forward and threw out an “Africa cloth” on the dirt floor for Grace to walk on as she approached the pulpit. In their culture, this action said, "Our respect for you is such that we don’t even want your feet to touch the ground." Grace rose from her seat next to her husband and walked AROUND the Africa cloth to her place behind the pulpit. She quietly spoke these humble words, "This honor scares me—that I should receive it here on earth, and miss it in Heaven." These words pierced my conscience as I thought of how many times I have pridefully swallowed up praise that was meant for Christ alone. Grace then thanked the crowd and turned their attention to the hero of her life—the Lord and Savior, Jesus Christ. It was a moment I will never forget as she displayed for me the humility of a true servant of God. Please pray for our sister, Grace. FOCUS—Alice is another sister-servant that I want to introduce you to. Though she is close to me in age, she has never been married. She has chosen a single life in order to have single-minded service to Jesus Christ. She ministers to the youth in Zimbabwe to help them “remember their Creator” in the days of their youth. Since she has chosen single service, she encourages her students to live a servant life in preparation for a married life. Throughout our two weeks of ministry in Zimbabwe and Mozambique, this dear lady never quit working—whatever there was to be done—from praying, teaching, encouraging, cooking, cleaning, shopping— she seemed to have a divine eye to see the needs of others and be ready to meet those needs. Alice is the behind-the-scenes help to Ken and Grace Mawire as she took care of many details in order to free them up for ministry and rest. Every pastor and his wife need such people, and Alice filled her role with dignity and love. Please pray for Alice as she serves her Heavenly Husband in earthly ways. FEMININE LOVE—Life is hard in Africa. Being a woman might slant my viewpoint, but I would tend to say life there is especially hard for a woman. I can’t imagine that the words “comfort” or “luxury” would even be in their vocabulary. 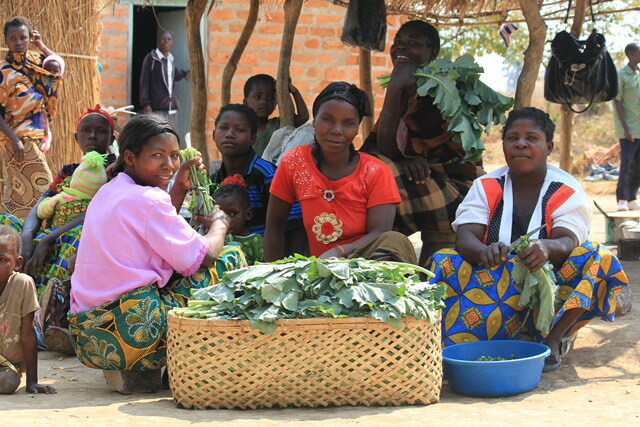 These African sisters are an embodiment of serving both family and church with a smiling endurance and selfless love. It would be hard to pick out one particular woman displaying these characteristics; instead, I saw village after village full of them! We ate many simple but fine meals in Africa, almost all of them prepared over open fires where the firewood needs to be gathered, the water hauled (at one village from over 6 miles away! ), and the food hand-prepared in a dirt kitchen free of modern conveniences. Yet, the women were so thrilled to be able to treat us to their hospitality and share with us their meager meals. God honors such offerings. At the three conferences we attended, my attention was always drawn to the love of motherhood. Being a mother and “nana” myself, I always love the little children and the dear affection given to them by their mothers. It seemed that almost every woman in attendance was burdened by a little body swaddled onto her back with an African cloth. My eyes were riveted on the sight of little arms and legs dangling from their mothers backs as mommy cooked, washed, studied, sang, and danced! With so many babies and toddlers in attendance, we rarely heard a peep out of them—the mothers would just open the “pantry” in the middle of whatever they were doing and quiet the cries of their little ones. My favorite part of the trip was the opportunity to open the Word of God and share with these sisters Scriptures to encourage them in their routine life of serving others. 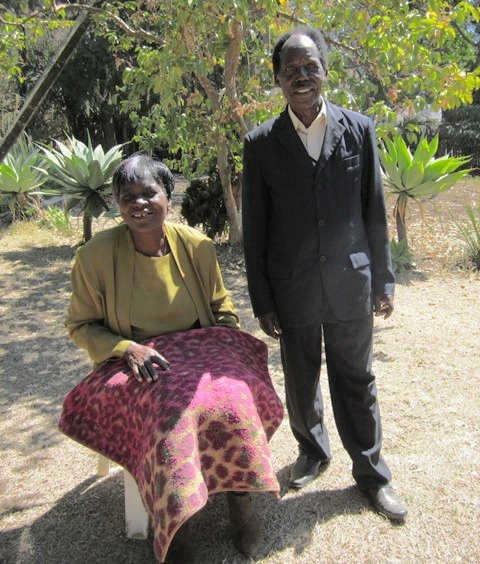 In northern Zambia, Pastor Happyson asked Gene to speak to the men and me to speak to the women. Then, we brought the two groups together and spoke to them as couples. I loved one particular moment when Gene strongly impressed upon the men their need to love and nurture their wives with the love of Christ. He said, "If you want them to open their feet, you must first open their hearts!" (No one can say it like my husband!) As Gene spoke these words, Pastor Happyson turned to the pastor next to him with a big smile, nodded his head in agreement, and vigorously shook his hand as if to say, "Mission accomplished!" I hope some of the men took Gene’s words to heart as I deeply desire these humble women to know not only the love of Christ but the love of their husbands. Please pray for this! VICTORY—The last lesson I want to share with you is the victory I saw displayed in the life of my dear friend, Sabine Badart. Sabine and her husband Geoff are our good friends from Cross Road Bible Church in Perth, Australia. When we lived in Perth, their home was always open to us as a place of refreshment, great food, and fellowship. Many times over the years, we would talk about ministering together in Africa. Each time, I could see that Sabine was excited about the opportunity but questioning her ability to actually make the trip. She has some health issues that make such travel a real challenge. Finally, this year, the long-planned mission trip came to fruition. Geoff and Sabine met us in Lusaka after our time in Zimbabwe and Mozambique. Sabine had prepared many things for the children’s ministry; she brought balloons, crafts, crayons, and coloring pages. With little experience in teaching children, she did a top-notch job (by God’s grace) in sharing Bible stories with young hearts. Through all of the difficult living conditions, strange surroundings, flat tires, breakdowns, and a sick husband, I never heard Sabine speak one word of complaint or doubt. She stood firm in her faith and left with a love for Zambia and its people that she is still embracing. Now she is printing out and laminating copies of the village Sunday School curriculum from our website so that she can send them to needy Sunday School teachers in Zambia. God is able to enable His children for His service. Victory in Jesus! The joy of the Lord is the strength of our brothers and sisters in Africa! (Neh 8:10) As we face uncertain times, let us look to these majestic ones as our forerunners in the faith. They have much to teach us!